I was thinking back over all of the birthday parties we threw for our kids when they were growing up. I have noticed that birthday parties are way over the top now and I can’t understand why. Birthday parties have come a long way. They used to be friends came over, we sang, ate cake, opened presents, and played. 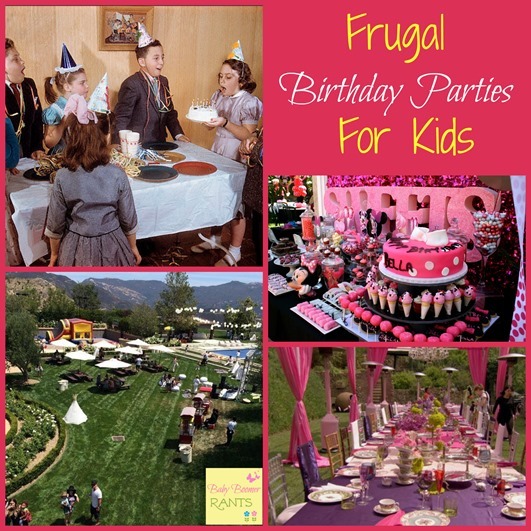 Now they have huge expensive, elaborate parties that parents try and make bigger and better each year. I don’t understand why – it does teach children that they need to “outdo” their friends’ parties and then that sets them up for having to “keep up with the Joneses” when they are adults… but, I digress . I never felt I needed to “outdo” my kids‘ friends’ parties. I wonder if it has to do with “helicopter parenting”? As a parent, I don’t remember really even being AT the other kids parties to see what they did… We dropped our kids off and picked them up when it was over. The first one I remember throwing that was “creative” in any way (by creative I mean not at McDonald’s or Chuck E. Cheese) was for my daughter when she turned 5. Growing up my Mom would throw Dress up Tea Parties for my friends and I. I would spend the morning making “invites” and then I would walk around the neighborhood and deliver them. They had a couple of hours to get ready and we would meet in my backyard where I would have a table with a little play tea set all set up and ready to go. We would all dress in our Mom’s dresses and jewelry complete with shoes and purses and “have tea”. Nothing else just giggle, play and have tea! So, back to my daughter’s birthday – I decided to throw her a dress up birthday party reminiscent of my dress up tea parties. It was a great time, she had girls and boys and they all dressed in the parents clothes (some of the boys even had briefcases, so cute!). We played games, ate cake and called it a day! My daughter still remembers that party, as do I and she has 3 kids of her own now… so, THAT’S a memory! It doesn’t have to be fancy or expensive to make your kids happy and make a memory that they’ll never forget. Just think outside the box and make it fun, they’ll remember it!